I suspect the title of this post will have excited a few readers, but there will be a large number more who's response will be "John Kennedy who?" John Kennedy Toole was the author of A Confederacy of Dunces - an epic, rollicking novel about an endlessly quirky man named Ignatius Reilly. Set in New Orleans, it's a book that is praised for its humour, well crafted characters and rich description of the city of New Orleans. It's one of those rare titles that manages to have both a cult following and be recognized as a bonafide classic. I read A Confederacy of Dunces when I was university on the recommendation of a friend and I loved it. It's a laugh-out-loud funny book full of crazy scenarios and outlandish characters. But what fascinated me as much as the book, was the sad story of its author and how the book came to be published. Written in the 1960s, and sent to several publishers for consideration, the author was unable to find someone willing to publish the book. In 1969, he committed suicide. The manuscript of the book was found by the author's mother, who pushed to have it published, eventually taking it to Walker Percy - the American author and then professor at Loyola University - and convinced him to assist her in having it published, which it was in 1980. 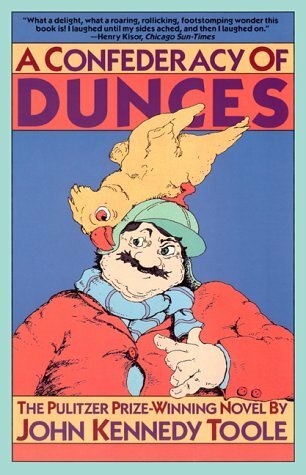 A Confederacy of Dunces won the Pulitzer Prize for Fiction in 1981. 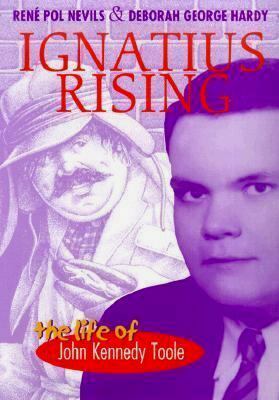 Knowing the short version of the back story, I was intrigued to discover Ignatius Rising - a full biography of the author. It's an accessible, interesting book that fills out the story of the author's life, giving the reader a glimpse into his sad death, but also moments and people from his life that proved influential in his great work. Library Journal described the book as an "almost hagiographic account" i.e. which practically treats the subject as a saint. As a fan of A Confederacy of Dunces, I enjoyed both the details and the treatment of the subject. For fans like me, I think this book is a must. 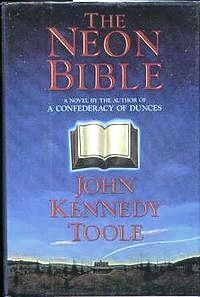 Others of interest to John Kennedy Toole's admirers include The Neon Bible - the only other novel by the author, written when he was a teenager and published after Confederacy as a result of the interest in the author. (The Canadian band The Arcade Fire named their second album after that book). 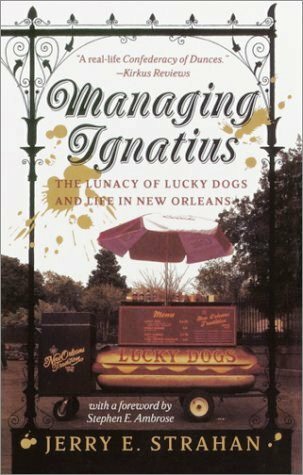 And for fans specifically of Confederacy's depiction of life in New Orleans, there is Jerry Strahan's Managing Ignatius: the lunacy of Lucky Dogs and life in the Quarter. A memoir of a manager for Lucky Dog hot dog vendors - which features prominently in A Confederacy of Dunces. Excellent book Ignatius Rising. Just superb.